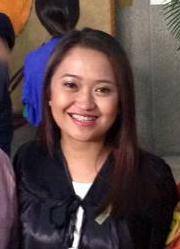 NEW LAWYER: Rozanne Birosel dela Cruz of University of Sto. Tomas (UST), Manila and resident of Laoag City, also passed the recent 2014 Bar Exam as per belated info reaching our editorial desk this week. Earlier, Sentinel published the list of new lawyers from Ilocos Norte who are 2014 bar exam passers.